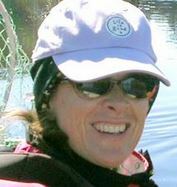 Volunteers | | Paddle Florida, Inc.
Janice was born and raised near Manchester, England. Her love of the water began while volunteering with her mother for the Royal National Lifeboats. After moving to the states at age eleven, she eventually served in the U.S. Coast Guard, doing search and rescue missions, mostly in the Great Lakes region. Janice started paddling in the midwest in the 90's. Since moving to Florida (and loving the great weather) in 2011, she has enjoyed exploring many of our springs, rivers and coastal areas. She looks forward to assisting with volunteers during Paddle Florida events. Jan Corcoran is the co-founder of Paddle Florida and has been an integral part of every event since we started doing trips in March, 2008. She has made rest stops on the water one of the most fun parts of every trip. She has helped in scouting all of our trips and worked with our food service providers to make sure meals are up to our standards. In short, without Jan there would be no Paddle Florida. 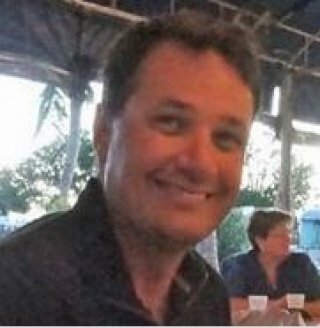 Brack Barker has been the owner/guide of Wild Florida Adventure since December of 2002 leading kayak and nature tours in over 10 North Central Florida counties. He also instructs community education classes at Santa Fe College in Gainesville. He was born and raised in Melbourne, Florida and is a U.S. Navy Veteran. 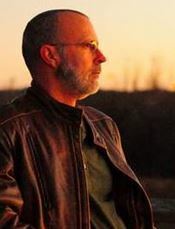 His educational background includes an AS degree in Zookeeping from Santa Fe College, and BA degree in Anthropology from the University of Florida, both in Gainesville. Other course work includes the Florida Master Naturalist Program via UF/IFAS, is currently certified L2 coastal kayak instructor via the American Canoe Association, and numerous Leave No Trace training courses. 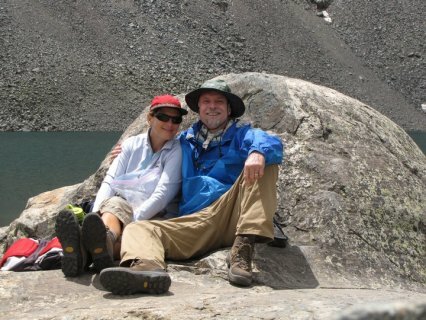 He has also received training as an outings leader with the National Sierra Club and the Florida Trail Association. In addition to kayak and nature tours, Brack volunteers as a Docent Naturalist at the Florida Museum of Natural History on the UF campus, since 2002. He conducts nature and museum programs for school groups and interpretive programs and tours of the traveling and permanent exhibits. Guerry Bradley, whose day job is as a firefighter/EMT in St. Augustine, has been a part of the Paddle Florida family since our first trip in March, 2008. On that first trip, he did everything in his power to save the life of dying beaver on the Suwannee River, but alas, all his efforts were for naught as we lost the poor animal. 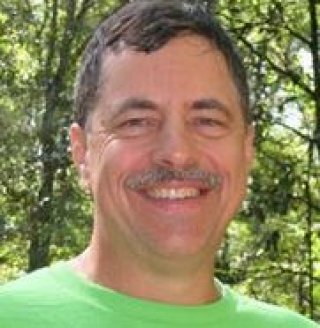 He is also known as a key player around the campfire each night, as his jokes entertain the rest of the group. We are fortunate to have someone with his myriad skills as a Paddle Florida volunteer. Beth grew up in Massachusetts and moved to Florida after completing a BA in Psychology and an AD in Nursing. She opted to retire at the same time as her husband, so that they could spend time together. A love of the outdoors started when she was a Girl Scout. Always ready for camping, kayaking, & exploring, it was recommended by a kayaking friend that she take a PaddleFlorida trip. Since her first trip on the Ochlocknee river she was hooked. 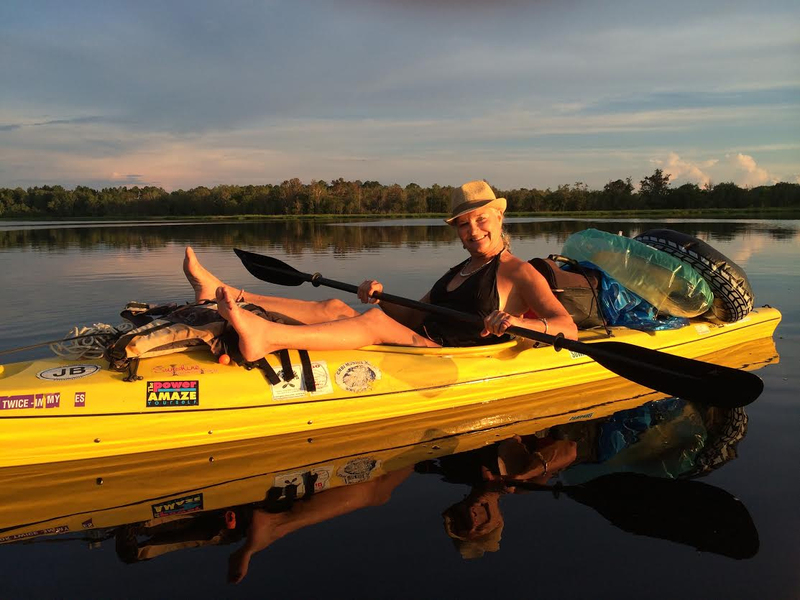 Along with her husband, she volunteers for many worthy environmental organizations, including: Panther Wildlife Refuge, CREW Land and Water Trust, and Florida Paddling Trails Association. John grew up in Miami. A great place to ignite his love of the water, he spent lots of time surfing the coast. November 2009 he retired from Miami Dade Fire Rescue after serving 30 years as a paramedic/firefighter. Retirement gave John the ability to pursue many outdoor passions. Living on the gulf coast in Naples, kayaking became a must do activity. 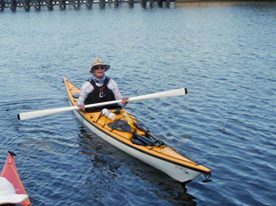 He can be found paddling with local clubs, camping in the 10,000 islands or exploring northern rivers. 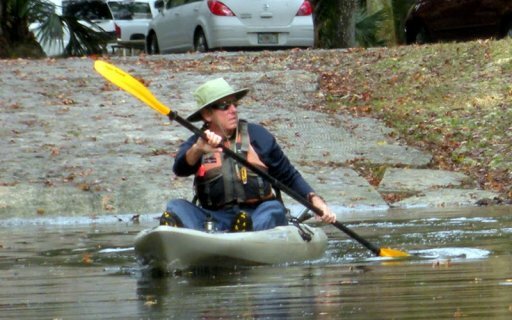 In addition to paddling, John has become involved in several environmentally focused organizations: South Florida Panther Wildlife Refuge, CREW Land and Water Trust, and most recently Florida Paddling Trails Association as a trail angel. Born and raised in Florida, Farley is a Coastal Master Naturalist, ACA Day Trip Leader, avid SCUBA diver, kayaker, and traveler. After 30 years as an educator in the Northeast, he returned to Florida to continue his love of being in, on, or under the water. 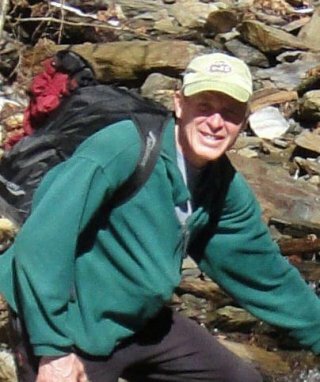 Farley has worked as a consultant for Outward Bound, Project Adventure, as well as the federal government. In 2003, he was the recipient of the Red Cross Hero Award. As a volunteer for Paddle Florida, Farley is passionate about the need to protect the natural environment. Karol loves to paddle just about anything, including sea kayaks, surf kayaks, canoes, and paddleboards. 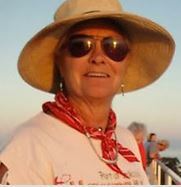 She has participated in many Paddle Florida trips and enjoyed it so much she became a volunteer. Karol and her husband Farley are lifelong learners and often take courses together as a "vacation." 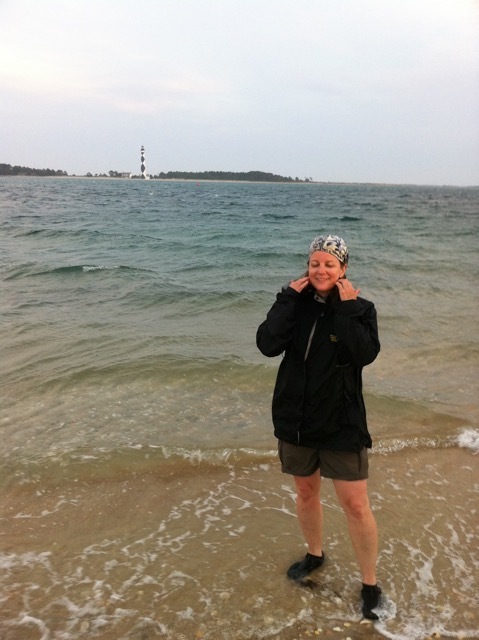 Karol is a rescue SCUBA diver, an ACA-certified Day Trip Leader, and an ASA-certified sailor. Active in her local community, she volunteers for Marineland's Right Whale Watch program. Growing up in northern Virginia and spending 25 years in New Jersey in a special education career, Florida was always a favorite vacation spot. She is thrilled now to call Florida home and is dedicated to preserving its beauty and natural resources. 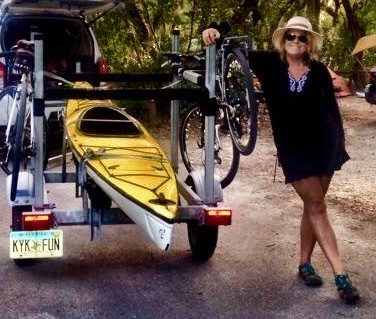 Gigi Frye is a native North Carolinian living in Charleston, SC who loves the Paddle Florida organization and paddling the beautiful waters of Florida. Her paddling experience includes class I-III whitewater, coastal touring, kayak camping expeditions and stand up paddle boarding. 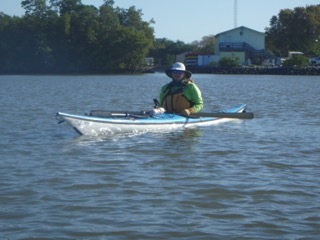 She was certified as an ACA Coastal Kayak Tour Guide and has plans to pursue certification as a coastal kayak instructor. Gigi has been actively dedicated to clean water issues including leading the organization of a 40 person volunteer river sweep in North Carolina, completion of Lakekeeper training with the Catawba Riverkeepers and volunteering with the SC Coastal Conservation League on litter sweeps and issue campaigns. She is a graduate of Montreat College with B.A in Business. After 14 years employed as a software support engineer for a major software company, she changed fields in 2012 and is now a licensed massage therapist with certification in neuromuscular therapy. Debbie was born and raised in Michigan, the "Water Wonderland". She grew up hiking, camping and exploring with her family yet had never been in a kayak until about 5 years ago. Debbie remembers when she first got into a kayak. The plan was to learn as much as she could during the summer in Michigan, with the goal of overnight camping in the Florida Everglades on a chickee that winter. As she paddled past a floating log, she thought, "I'll be eye to eye with the alligators!" Well that first trip to Florida, she never saw any (while paddling) but was eager to explore more of Florida waterways. 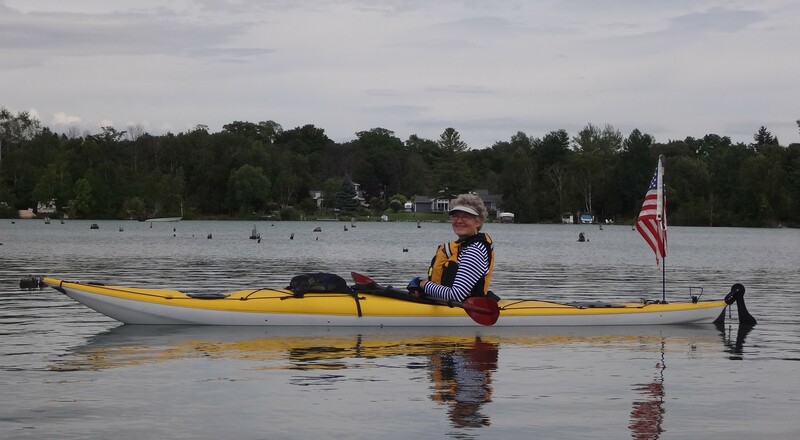 With a focus on learning skills and safety, she has attended symposiums in Michigan (Great Lakes Sea Kayak and WMCKA) and Florida (Sweetwater). This year she completed the Foundation, Safety and Rescue Training course provided by the PaddleSports North America (PNA). She is part of Little Traverse Paddlers, a Meetup paddling group (of age 55+)in Michigan during the summer and her first Paddle Florida trip was the Keys Challenge in 2014, followed by the Withlacoochee in 2015 and was glad to be able to support the Keys Challenge and the Great Calusa Blueway in 2016. Paul is from Michigan where he spent most of his time around, in, on and under water. Camping, canoeing, sailing, fishing and scuba diving led to a long stint with the Michigan Department of Natural Resources allowing him to work all around the state. He started out as a Park Ranger, then Assistant Park Manager, shifted to a Water Quality Specialist and finally landed at Charlevoix Great Lakes Fisheries Station where he wound up plying the Great Lakes on the SV Steelhead doing fisheries research. With a growing family he decided to stay closer to home and took all of his experiences into the classroom, teaching science and coaching Cross Country and Track. A chance introduction to kayaks allowed him to spend more time with Debbie (his wife) and be on the water as the kids grew up and left the farm. Paul wasn't really sure if he would like being so far from the farm but that all changed when he went on the PaddleFlorida Keys Challenge. He said "it was incredible and very different than the Great Lakes. Listening to the stories and experiences of the other paddlers was great too!" He now looks forward to exploring all the nooks and crannies Florida has to offer. If you are looking for Paul on one of the trips just follow the hammered dulcimer music drifting on the breeze. Winner of the 'Most Fearless Award' from NOC's whitewater class (fearless doesn't necessary mean SKILLED), Scott Jantz has been paddling southeastern rivers since the '80s. A graduate of UF's engineering school with an interest in robotics, Scott has logged hundreds of Paddle Florida miles and has led the group in numerous cleanups of Florida waterways. His favorite place to be while not in a kayak is under it. 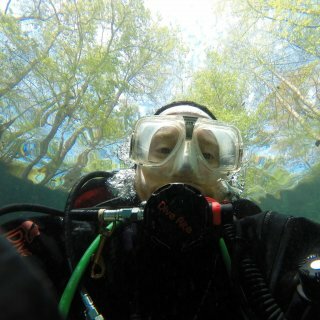 Scott holds numerous SCUBA diving certifications and loves exploring Florida's underwater network of caverns and caves. 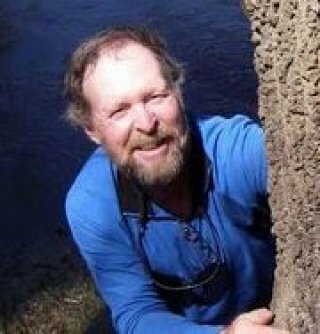 "Woodkayaker" McCumber is a Florida Master Naturalist and author who has been kayaking in southwest Florida for over 25 years. He was the Captain of Diana Nyad's kayak team, protecting Diana from sharks (non-lethal methods only) during her swim from Cuba to Florida. He is a passionate nature lover with a broad-based knowledge of the local ecosystems. 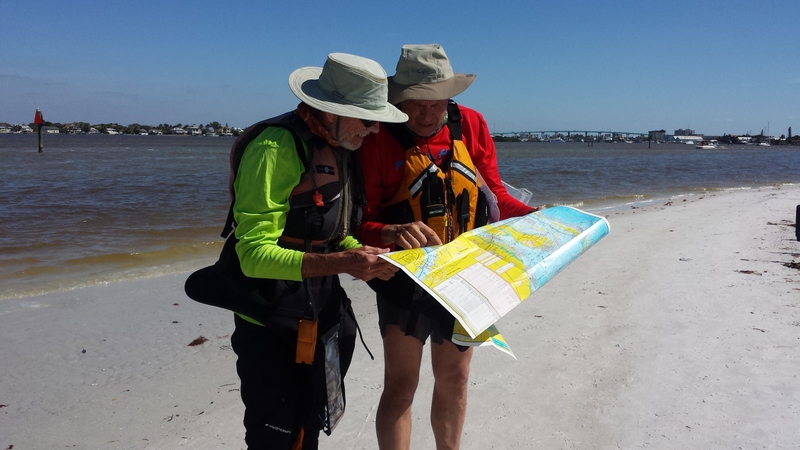 McCumber has been involved with Paddle Florida as a guide and presenter on several trips. He has many stories about his adventures and encounters with the wildlife of the Everglades...and beyond. 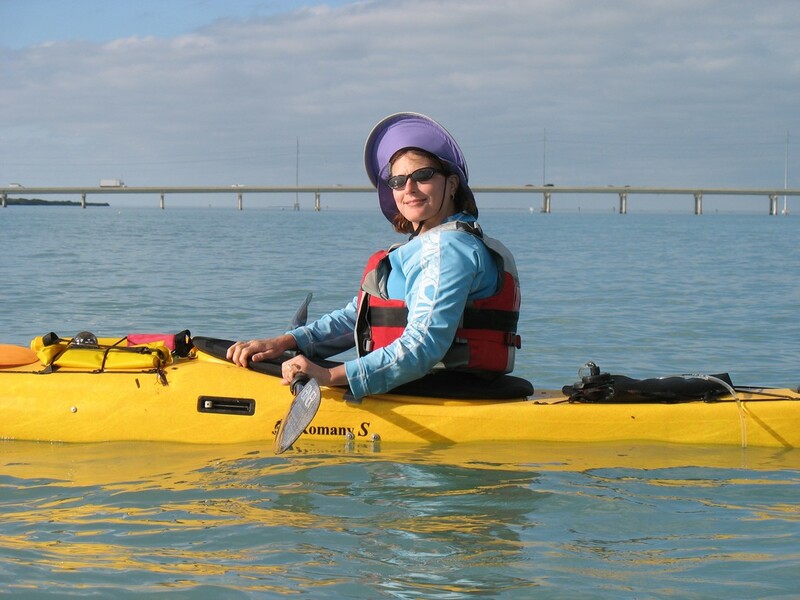 As a member of several southwest Florida kayak clubs, McCumber has led many trips. He organized "Kayak Camping 101" for Paradise Coast Paddler's Club to help introduce new kayak campers to wilderness camping in the 10,000 Islands. 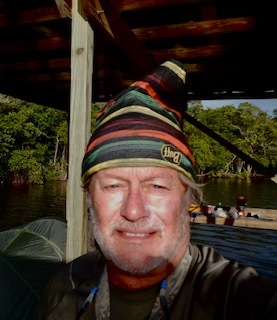 McCumber brings his knowledge and experience to Everglades Area Tours as their kayak camping guide, leading multiple-night kayak camping trips and kayaking day experiences into Everglades National Park and the 10,000 Islands National Wildlife Refuge. I began paddling canoes in the northern lakes of Minnesota, but have only been paddling kayaks since 1998. I immediately fell in love with the springs, salt marshes and coastal paddling in our spectacular water environment! When I met my wife, Whitney, I encountered the thrills and spills of whitewater kayaking. Nowadays we especially enjoy combining sea kayaking and rough water kayaking by coastal surfing and camping in our sea kayaks. I am keeping my desire to build a cedar-strip kayak in check for the moment, but enjoyed building a 21st Century Kayak with Bill (thanks so much Don!). Whit and I helped scout the Keys trip and hope to join PF on at least that trip this season. Newest obsession - fixing up and sailing our new 18 - foot Sanibel and planning trips sailing with our kayaks in tow! Whitney Sanford started off paddling white water and, upon moving to Florida, fell in love with sea kayaking (and Kevin, not necessarily in that order). Whitney and Kevin have paddled in the rivers and coastal areas of Florida and especially enjoy multiday trips in the Keys and 10,000 Islands. They recently returned from sea kayaking off the coast of Wales and are preparing to paddle in the Outer Hebrides next summer. More recently, Whitney has taken up SUP/Paddleboard surfing and might be spotted trying to stay upright in the surf. When she is not paddling, Whitney teaches in a Religion and Nature program at the University of Florida. Bob Whytal is a retired School Administrator from Virginia in the area of Special Education and a former Reserve Deputy from Augusta County Virginia. Currently, Bob resides in Bradenton, Florida with a summer home close to the Appalachian Trail in Churchville, Virginia with his wife Michelle and dog Snickers. Bob has been camping since eight years old and involved in water sports since the age of fourteen. Surfing, canoeing, kayaking, scuba diving, camping, and snorkeling have been favorite activities. The longest kayak trip was from Everglade City to Flamingo for a total distance of 120 miles. In terms of whitewater, I have canoed and kayaked various portions of the New River up to Class III, rafting the Gauley (Level V), and New River Gorge (Level IV). The outdoors and exploring new areas to kayak, raft, hike, and camp are activities of interest. Recently assisted scouting a possible new kayak trip with Janice and Bill. I was hooked and thus volunteered to assist in the future. Loved it!